One of the reasons for contributing this blog-post to the site is to start, or at least join, the debate on the importance of football grounds to their communities. So please do respond by sending your comments to any of the relevant links highlighted throughout the post. My own research as an M/Phil/ PhD student centres on the use of football stadiums in urban regeneration with a focus on developments in East Manchester and Tottenham. This involves the construction of new sporting facilities as part of wider regeneration efforts within these areas. There are clear connections between the ideas of regenerating communities through new facilities and trying to keep football clubs in existing grounds in order to continue being assets to their communities. The Localism Act (2011) is increasingly being used by different groups to keep existing facilities of community value such as football grounds in place. I’ve recently had some personal experience of utilising the recent legislation to try to keep another non-league London club from becoming homeless. One of my interests, originally having no direct connection with my research, is supporting Dulwich Hamlet. I started going along to watch Dulwich Hamlet about seven years ago as it was the nearest football club to me and a bit of light relief from supporting a Premiership club. It was also much cheaper, easier to take my daughter along and I could still be home in time for dinner. I had no intention of becoming too involved or attached to the club. 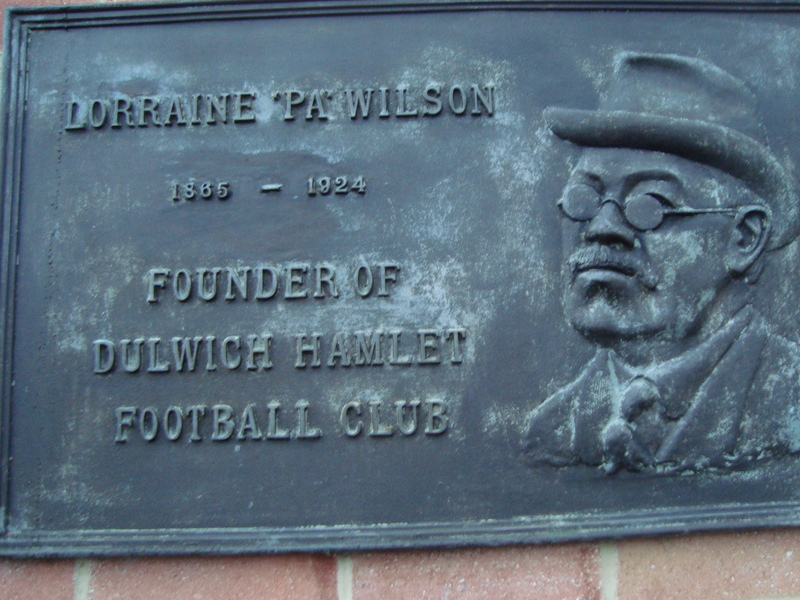 Dulwich Hamlet currently plays in the Ryman Premier League and may not be too well known to some, but has a proud history. The club was formed in 1893 and in its hey-day won the F.A. Amateur Cup 4 times between 1920 and 1937. The legendary Edgar Kail is the club’s all-time leading scorer with 427 goals. He was the last amateur to play for the fullEnglandteam in 1929. The football club has been through a few ups and downs since then, but stylish football under a young management team led by Gavin Rose, promotion as champions last season and a rapidly increasing support has brought a lot of optimism to the club. However, off the pitch, like many football clubs there are serious concerns about their ability to remain at the existing ground. The reality is that many non league clubs inLondon have lost their stadiums over the last 20 years, as owners sold out. Until summer 2012, the ground was owned by Dulwich Hamlet Property Development Ltd, which went into administration owing more than £5 million. The main creditor is an Isle of Man-registered company, Northfleet Ltd, which had earlier lent £1.25 million to enable DHPD to buy the ground from King’s College. Continuing speculation about the stadium has thrown a spotlight on the need to ensure that club supporters are given maximum opportunity to influence the future. The Greater London Authority’s Culture, Sport and Tourism Committee published their Away from Home report in 2003 outlining the threat that property development and the existing planning system, amongst other things, posed to London’s clubs. This is particularly the case for non-league clubs that do not have the attendances or income to offset potential increases in property values in and aroundLondon. It is perhaps also the case that councils have not truly valued football clubs as an asset and that the clubs need to be better at demonstrating their worth. There is no doubt that Dulwich Hamlet are playing an increasing part in the community, from running football projects for school children involving the club’s players to giving opportunities to local young players such as Paul McCallum, Michael Chambers and Quade Taylor to gain moves to Premiership teams. Aside from being Dulwich Hamlet’s home ground for almost a century, Champion Hill has also been the home ground for Fisher Athletic, Millwall Lionesses and London FA representative sides. In the 1930s, the original stadium attracted crowds of 20,000 and more. Despite my earlier ideas of emotional detachment, I found myself being increasingly drawn into support for the club, especially in trying to understand the complex background to its ownership and administration. When a vacancy arose 18 months ago, I became Secretary of the Dulwich Hamlet Supporters Trust. Coincidentally, following in the footsteps of a previous Birkbeck alumnus. One of the biggest issues for the Trust is the ground. 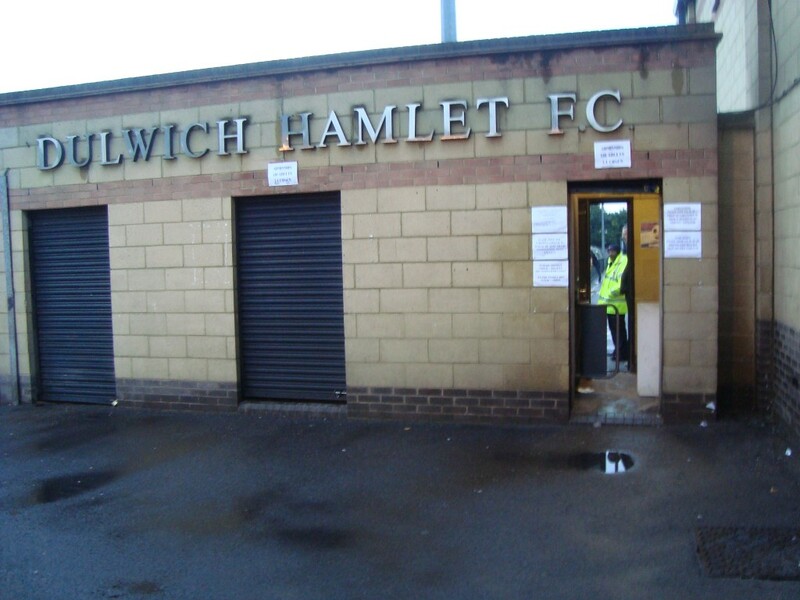 As a Trust we felt one of the ways we could try to ensure Dulwich Hamlet’s future at Champion Hill was to use the Localism Act (2011) to submit an application to Southwark Council to list the ground as an Asset of Community Value. With the assistance of two Trust members who run a South London football blog, http://talesfromthepigeonstands.wordpress.com/ and Supporters Direct, http://www.supporters-direct.org/ we applied to list the ground in early August. On 11 September, the Trust received confirmation from Southwark Council that Champion Hill Stadium had been listed as an Asset of Community Value. The listing lasts for five years and any owner of the property has to apply to the council before they can sell the freehold or a lease longer than 25 years. Community groups then have six weeks to decide whether they would like to express an interest in bidding for the property. If they do, the owner is not able to sell for six months, although they don’t have to sell to the community group. At a time of growing support and success on the football pitch the aim is make sure that Dulwich Hamlet Football Club is not added to the list of clubs that have become homeless. Dulwich Hamlet is not alone in taking this action. Stadiums including Old Trafford and Oxford United’s Kassam stadium have already been confirmed as assets of community value, and there are at least another 15 nominations in the pipeline. However, Dulwich Hamlet is the first football club inLondonto be successfully nominated and the hope is that the protection and publicity generated by this designation will assist the club in having a sustainable future in its long-term home. Tom Hall of Supporters Direct, the national umbrella body for supporters’ trusts welcomed Southwark’s decision and congratulated the Trust on the achievement. The Trust and the football club received a huge publicity boost from the application and the listing. This included featuring in a BBC News item along with other luminaries such as Blackburn Rovers and Liverpool, http://www.bbc.co.uk/news/business-23695199 . There were also messages of congratulations from many sporting organisations, further raising the profile. The reality is that the listing is only one step in trying to sustain the club at its current ground. And about my ongoing research at: http://markpantonresearch.blogspot.co.uk/, http://researchblogz.wordpress.com/ and will continue to do so. Dulwich Hamlet plays at Champion Hill Stadium,Edgar Kail Way, EastDulwich,LondonSE22 8BD. BirkbeckCollegehas a number of connections with the football club and all students will be made welcome on a visit to the ground. There is an excellent bar above one of the stands from which it is possible to watch the entire game if the weather is not to your liking outside. DISCLAIMER: The Birkbeck Sport Business Centre is a specialist research centre based in the Department of Management at Birkbeck, University of London. Since 1999 members of the Centre have been actively involved in sport industry research with a particular focus on governance and regulation. The Centre has published research in a wide variety of outlets including edited books, academic journals, individual book chapters, and reports. The views and opinions expressed are solely that of the author credited at the top of this article. The Blog section of this website does not represent Birkbeck Sport Business Centre or Birkbeck, University of London’s view on a given topic or issue. Rather, we provide here a platform for a knowledgeable, informed and evidence-based ideas, which will be discussed here by the Centre’s members and guests.